A major seven-year study has been launched in the UK to investigate the link between biodiversity and the services nature provides; Such as food, clean air, water and flood protection. Planet Earth Podcast presenter Richard Hollingham went to meet the leader of the project, Dave Raffaelli from the University of York, at Blacktoft Sands nature reserve on the banks of the River Humber in South Yorkshire. Dave - If you look out at the area we're looking at at the moment you can see it's dominated mostly by reeds. These have many, many functions in the natural environment that people don't really appreciate. Traditionally they were used for thatching, for making roofs and so on, but they have many other really interesting functions. So, they provide a kind of soft engineering for storm surges and for wave action and so on which means that we don't have to build solid seawalls, so they take the energy out of the waves. They also filter water before it goes from agricultural land into the rivers and strip out all the nitrates and so on. So they have a purification function, they have a storm defense function as well as providing lots of biodiversity for us as well. Richard - And these sorts of functions they're termed ecosystem services and that's what your project is investigating and looking at - a rather ugly word but I suppose it describes what it does. Dave - Yes, I think the best way to think about them is that nature provides lots of benefits for us and this is one of several habitats we're looking at in the United Kingdom, so we're looking at coastal marshes like these, we're looking at upland rivers, we're looking at lowland farms and we're looking at urban areas as well down south in England and we hope to extend that to many other kinds of habitats. Each of these habitats has lots of biodiversity which provides those kinds of benefits for us. Food production from agricultural land, in an area like this there's lots of recreation provided for us as well as climate regulation in forests and so on and what we're trying to do is find out how much of that biodiversity you really need to sustain those benefits in a changing world. Richard - So are you trying to quantify this and put numbers on this and say "we need this many reeds to stop the flooding here" or "we need this diversity of plants and insects..."
Dave - That's right and unless we quantify those then they won't be valued properly in decision making. Many of these so called benefits from the landscape, these ecosystem services, they don't actually have monetary value attached to them because we can't trade them. But, actually, if we didn't have them then we would have problems with flooding, we would have problems associated with climate change, carbon sequestration and so on. We're trying to put numbers of those so that when we need to make decisions about the way we manage our landscapes in the UK we can do that on a properly informed basis. Richard - And so when we peer out through this slit across the water in front of us; it's almost like a pond, it's so still today, there's no wind at all. Then there's the reeds and then there's a butterfly just flitting past, there's a pony in the distance and then the river and then into a haze of the hill and trees. You put numbers and say, right we need that and that will mean we get this amount of benefit from that? Dave - That right. So the kind of trade-offs that people like the Environment Agency, for instance, have to make on a daily basis but we all do in society is what should we do about whether we want to build sea defences to stop flooding or river defences to stop flooding? One of the decisions that we might want to make is not to invest huge amounts of money into those sea defences but maybe to purchase adjacent agricultural land, which also has monetary value, in order to let that land accommodate the flood rather than trying to stop it and then pushing the water further downstream. So that's why we're trying to put the numbers on these benefits so that people can have a common currency, if you like. It doesn't have to be money it can be anything, but a common currency to provide a rational basis for actually making those kinds of decisions. Richard - I'm just watching that pony over there swishing its tail, swishing the flies away, grazing on the marsh, grazing on some sort of grass or sedge or something over there. How do you put a number on the benefit of that grazing, or benefit or otherwise of that? Dave - Well that's what the project is really all about. 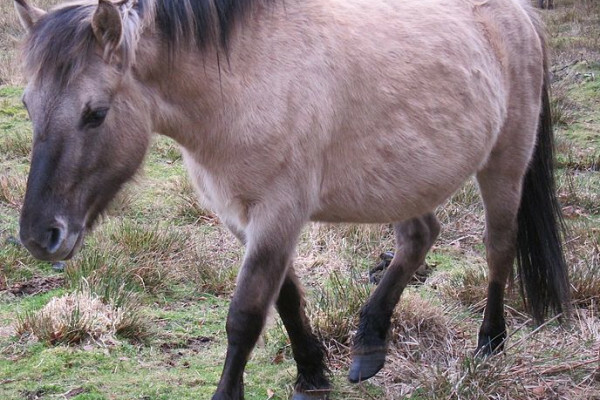 What we want to know is, and that's a very good example for this konik pony, is how many konik ponies do you need to change the vegetation in such a way and keep it in a particular condition but it's the best possible condition to stop flooding? Although it all looks like reed here there is many, many species and the essential question is how many species of these reeds and sedges do you actually need in order to provide that benefit of flood regulation or water purification for us and of course the konik pony is one of the moderators of that biodiversity because by feeding selectively they can increase the diversity or decrease it, so that's a very good example of why biodiversity is important in these questions. Previous Transmitting H5N1 and A 50 Gigapixel Camera!